A fresh batch at Banbury Cross dares you not to lick your screen. Quick confession: Doughnuts never ranked very high on my list of baked goods. I'd never say no to a free doughnut, but I'd never wake up in the middle of the night with a craving for one, either. As two of my pop-cultural spirit animals—Homer Simpson and Dale Cooper—seem to enjoy these fried rings of pastry on a transcendental level, I decided to dedicate some serious time to doughnut studies. After plotting our course, my wife and daughter—wearing her "Donut worry, be happy" T-shirt, obvs—visited bakeries from Lehi to West Valley to learn from Utah's finest doughnut designers. Banbury Cross (705 S. 700 East, 801-537-1433) has been making doughnuts for hungry Utahns for more than 30 years, and it's the foundation of local doughnut culture. They've perfected the crisp-to-chewy ratio—their doughnuts manage to retain a fluffy, but not too fluffy, inner texture which is contained by a paper-thin outer layer of crispness. Rumor around the newsroom has it that their maple bars have healing powers. For serious doughnut reflection, all roads lead to Banbury Cross. Open Monday-Saturday, 5 a.m.-5 p.m.; Sunday, 6 a.m.-1 p.m. 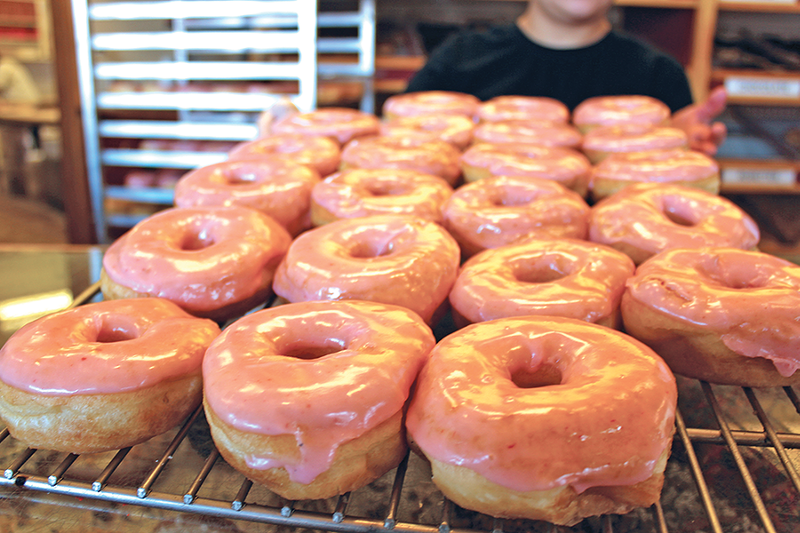 If you gave me a box of assorted doughnuts, I'd choose regular glazed over a fritter any day of the week. That was until I tried the apple fritter at Fresh Donut & Deli (2699 S. State, 801-467-8322). From bite one, my taste buds swelled with unanticipated depth of flavor—this monster tastes like it came from the ovens of a French boulangerie. There's a mouth-hugging flavor of slightly burnt caramel that comes from the many nooks and crannies within the fritter's landscape, and it's perfectly complemented by the baked apples inside. It's forever changed the way I think about fritters. There are cake doughnuts, and then there are Dunford Bakers cake doughnuts. It's not too difficult to find prepackaged pastries at grocery stores from this West Jordan bakery (8556 S. 2940 West, 801-304-0400), but they're best sampled fresh from the source itself. Their chocolate and white cake doughnuts are beautifully rich and dense, and typically come robed in a thick shell of icing. Somehow Dunford Bakers has managed to create a perfect hybrid of doughnut, cake and brownie, making this an economical three-treats-in-one dessert that actually eats like three desserts. Monday-Friday, 6 a.m.-6 p.m.; Saturday, 7 a.m.-3 p.m..
Utah is slowly becoming home to a wide variety of plant-based comfort foods, and Central Ninth's The Big O Doughnuts (248 W. 900 South, 385-770-7024) has vegan doughnut lovers covered. My go-to at Big O is their strawberry glazed—not only is it flaky and sweet, but the icing is filled with crumbled freeze-dried strawberries, which cuts through the sweetness with a katana of tart—a ka-tart-na, if you will. Their menu is huge, so expect to be a repeat visitor once they've got you hooked. Wednesday-Friday, 7 a.m.-2 p.m.; Saturday-Sunday, 9 a.m.-3 p.m.; Friday-Saturday, 6 p.m.- midnight. Nestled in Lehi's cozy main street area, the Lehi Bakery (172 W. Main, 801-768-9544) took a look at round doughnuts and promptly said, "Nah, bro." Their trademark is the square doughnut, which proudly defies the status quo. Outside of their shape, the square doughnut's flavors remain traditional, but this one works a little bit better for sandwich purposes if you're so inclined. 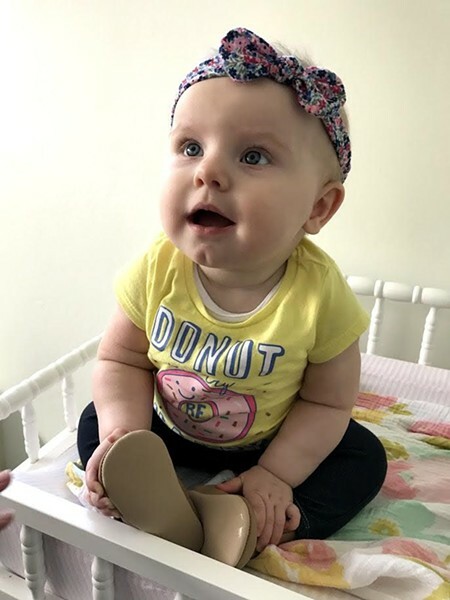 They also offer foot-shaped doughnuts with whipped cream toes, and buttermilk bars that look like miniature loaves of pound cake. With their flavors on point, Lehi Bakery remains a bastion for the structural rebels and outlaws of the doughnut scene. Tuesday-Friday 7 a.m.-6:30 p.m.; Saturday, 7 a.m.-4 p.m.
With the exception of Big O, the other monarchs on this list have had at least a few decades to perfect their craft. West Valley upstart Donut Boy (2194 W. 3500 South, 385-528-0782) has only been around for two years, but they're already making some serious waves in WVC. Their menu rotates regularly, but in my few visits, a pie-doughnut fusion appears to be a pronounced theme. Their interpretations of banana cream pie and apple pie are amazing, but they've reached the pinnacle of doughnut technology with their strawberry shortcake—a raised doughnut, filled with fresh strawberries and pastry cream, topped with strawberry icing, more berries and whipped cream. Here, worlds collide in the best possible way. Monday-Saturday, 6 a.m.-1 p.m.; Sunday, 7 a.m.-1 p.m.
What's your favorite SLC fritter?